Holidays provide a wonderful opportunity to look anew at aspects of the decorative arts. Suddenly you have access to a completely different horizon with every reason to allow yourself to be tempted. 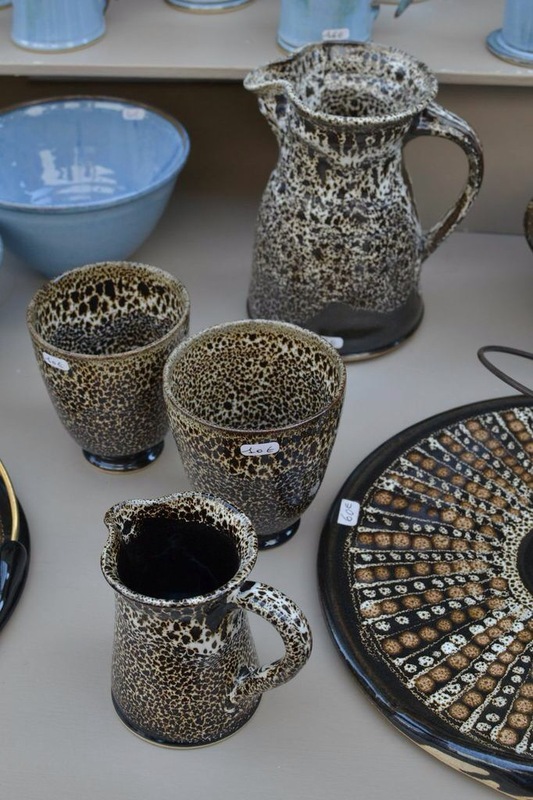 What better way to remember your holiday than to support local artisans and come home with some pretty craft pieces. Our particular holiday destination is a tiny village called Salles-sous-bois but the nearby villages of Taulignan and Grignan are very close. Grignan boasts a château built by the French epistolary writer and comtesse Madame Sévigné. It is the more tourist-oriented of the two. 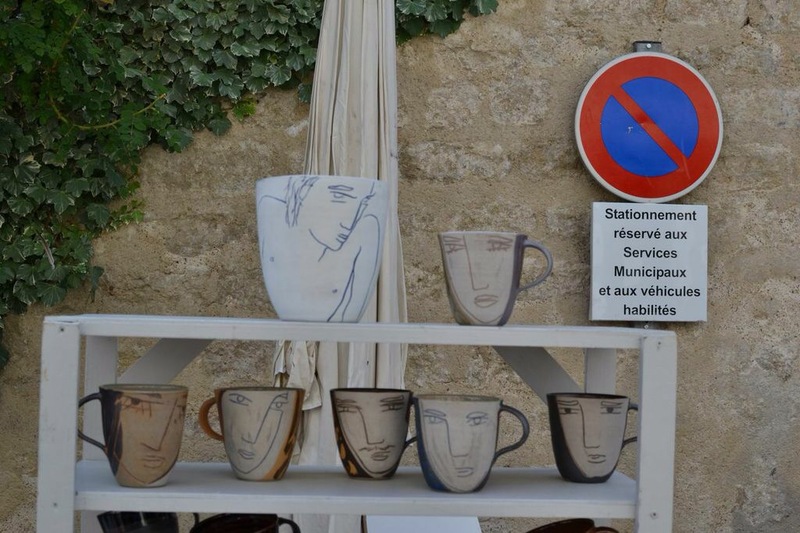 The winding lanes up to the pretty Château host several artisan craft markets in August which I just cannot resist. 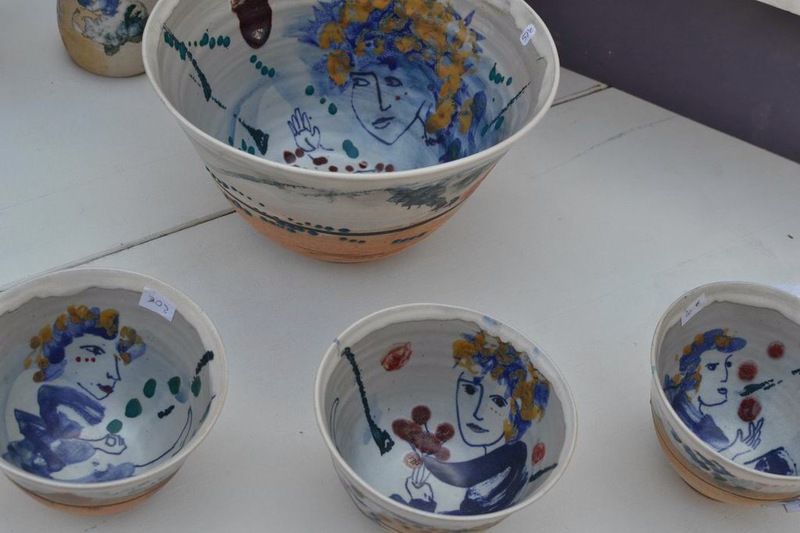 30 Potiers (30 Potters) literally provides the opportunity to meander the lanes and browse the wares of about 30 potters and thus the best ceramic artists in the area. 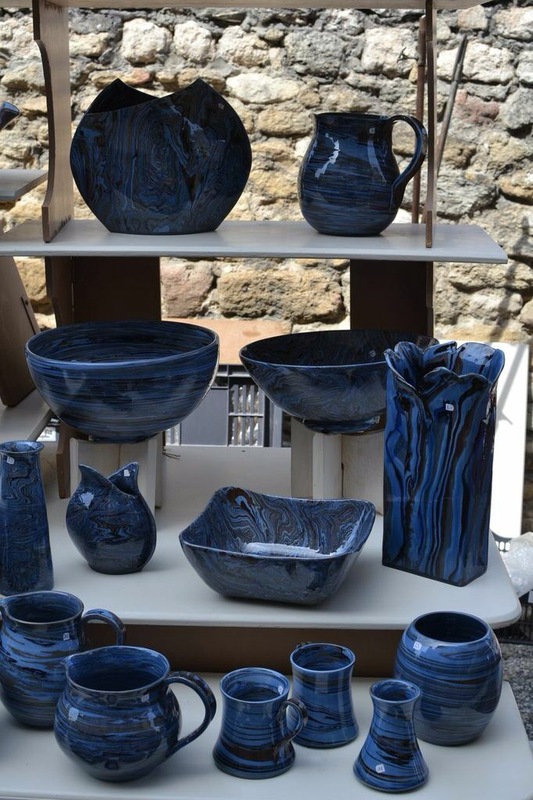 Here are some lovely pictures of this years market taken by my daughter. 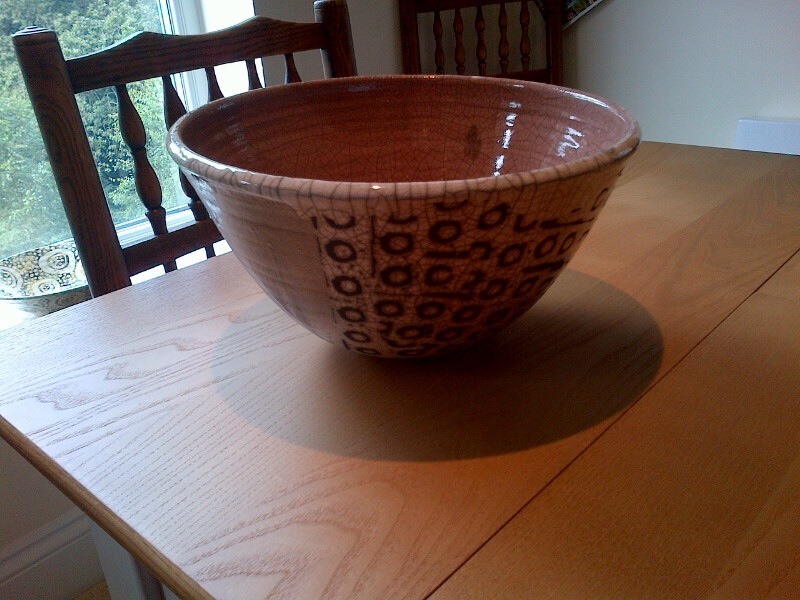 This year I was in contemporary mood and I came home with this rather quirky bowl pleasing for its shape. 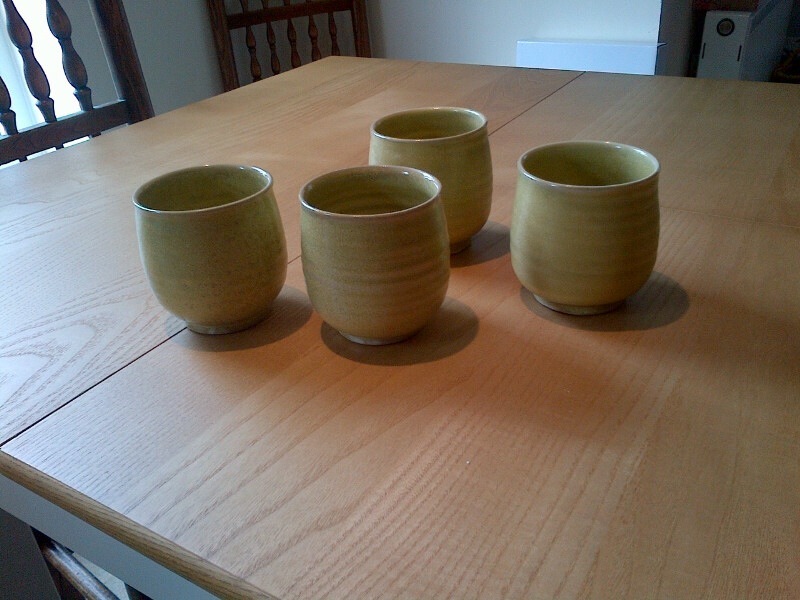 Later I bought these pretty cups at the village pottery. On another day I was excitedly drawn by La Route de La Laine. 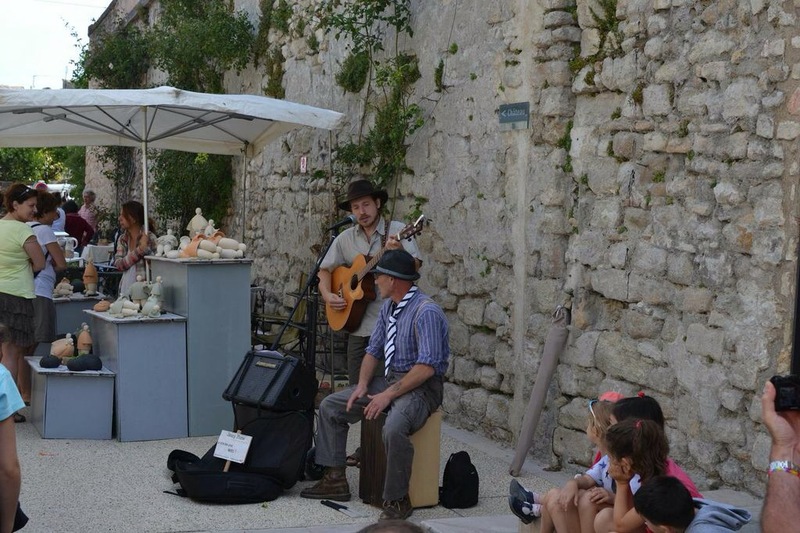 This new market filled the streets of Grignan with the work of local French felt-makers, nuno designers and weavers, not to mention knitters and dyers. It was difficult not to be extremely impressed by the colours, artistry and technical standard of the items being sold by the wool-workers of France. However, I was, in honesty, rather outraged by the prices. I enjoyed the visit but will make my own. 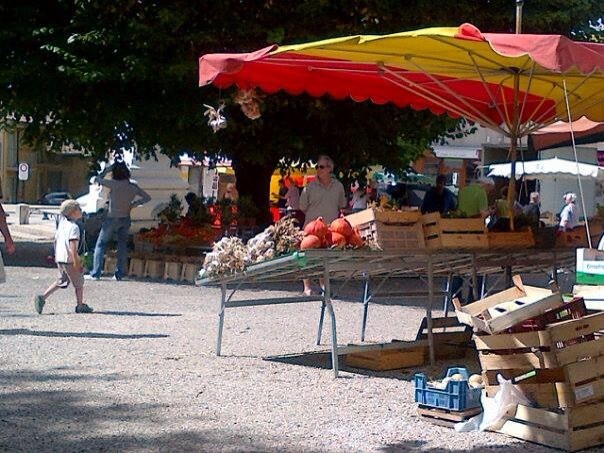 Sometimes more regular local markets are better for bargains and the food and artisan markets in Taulignan are always worth a visit. 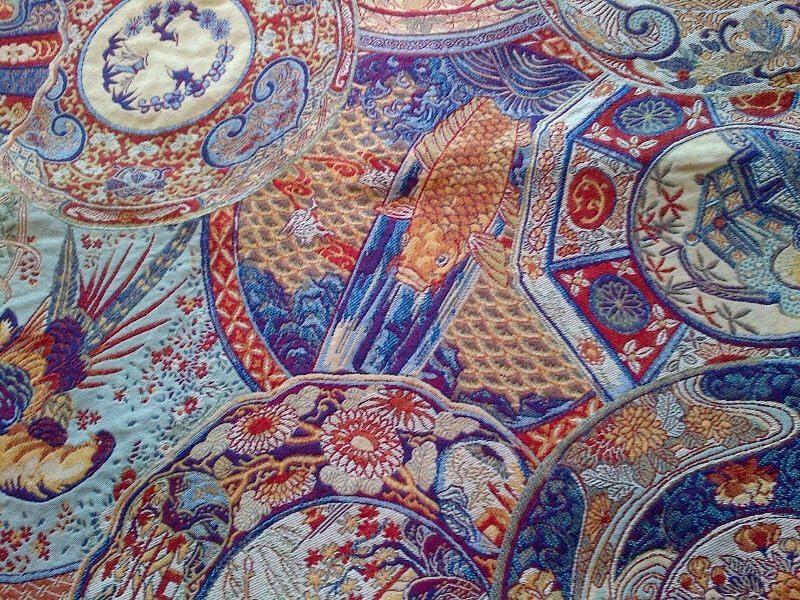 We were pleased to find again the man who last year talked us into buying one of his beautiful jaquard tapestry tablecloths. He wooed us with his life story of the effort it cost him to buy his first jaquard machine and to be honest it was clear that here was a man who had made the most individually of his rather surprising design talent. Rather reluctantly last year’s very classic choice went to my mother as a gift so this year we jumped on the design we’d most regretted not being tempted by. My husband made the choice of this romantic celebration of travel and worlds apart. 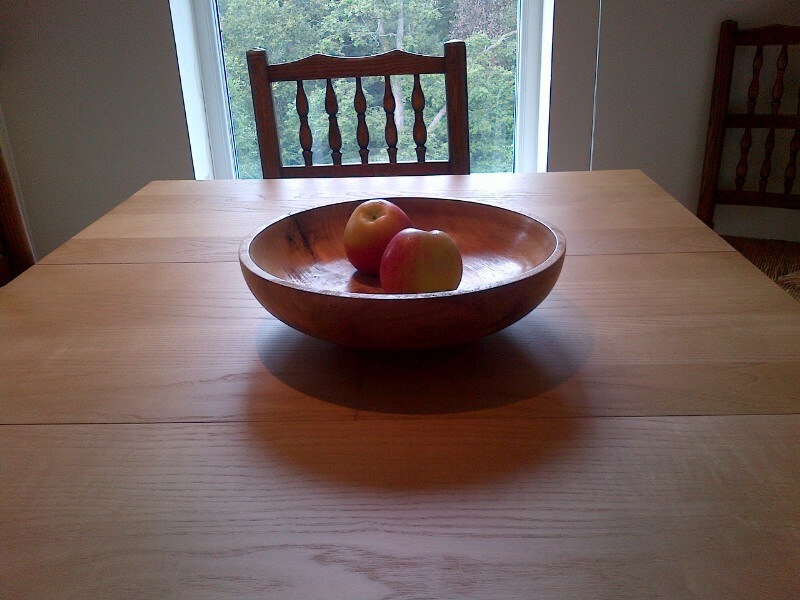 The wood turner at the same market sold us this bowl last year at a snip of a price. This is an eclectic mixture of things picked up on our travels in the region. I like to catch sight of them during the year. They bring a touch of holiday into my home and add personality. 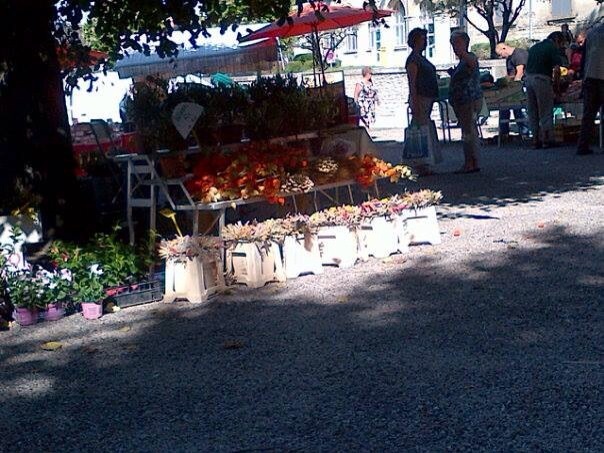 And, whatever my moans about prices, the artisan markets of France are a delight. 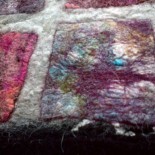 Home again, I’m reinspired to return to my own wool and felt work. I’m happy paying out for French ceramics and tapestry textiles because those are not my crafts but I’d rather work my own felt and wool and I’ve missed the texture and feel of it. The reason for a good holiday is undoubtedly to be glad to return to what you love. 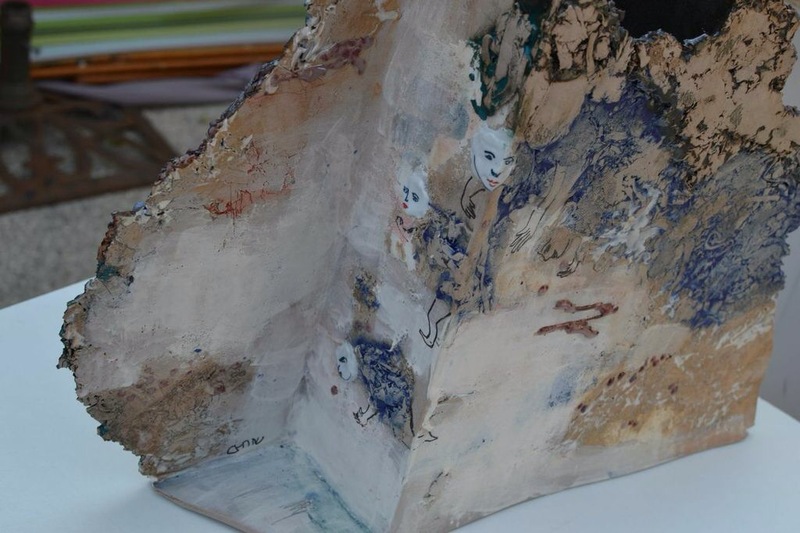 This entry was posted on 10/09/2014 by Themidlandperfumer in arts, arts and crafts, ceramics, craft, crafts and crafting, felt, felting, knitting, nuno, textiles and tagged artistic, Ceramics, craft, crafting, crafts, cultural, decoration, decorative effect, decorative felt, La Drome Provencal.